By now, it is not unreasonable to say nearly anyone with a television or Internet access knows that gold is in full-fledged bear market. That much was confirmed with last Friday's 4.1 percent tumble, which had bullion residing more than 20 percent below its record high seen in August 2011. It looks like things are going to get worse before they get better for gold as the yellow metal is careening toward its worst one-day loss since 1980 during Monday's trading session. Predictably, gold's tumble is bad news for shares of the companies that extract the precious metal from the earth. At various points during gold's unprecedented 12-year bull market, shares of the miners frequently lagged gold futures and ETFs such as the SPDR Gold Shares (NYSE: GLD), bewildering investors in the process. The situation for the miners and the corresponding ETFs is getting worse. On Monday, the Market Vectors Gold Miners ETF (NYSE: GDX) has slid 8.6 percent on volume that is already more than 50 percent above the daily average. Including Monday's tumble, GDX is down more than 16 percent in just the past five trading days. If years of under-performing gold futures was not a clue, investors got another regarding the miners in early February about GDX. That is when Chris Kimble of the eponymous Kimble Charting Solutions noted that if GDX violated support around $42.15, the ETF would continue plunging. Plunge it has. GDX is trading below $29.50 at this writing. It is easy to understand why. Over the past five trading days, Barrick Gold (NYSE: ABX), Goldcorp (NYSE: GG) and Newmont Mining (NYSE: NEM) are off an average of more than 16 percent. Those are GDX's three largest holdings and combine for over 30 percent of the downtrodden ETF's weight. At around $29.50, GDX is trading more than 22 percent below its debut price of $38 in May 2006 and risks closing below $30 for the first time since December 2008. This is how dreadful GDX has been in the past week: Peru's Buenaventura Mines (NYSE: BVN) is the best performer among the ETF's top-10 holdings with a loss of 10.2 percent. 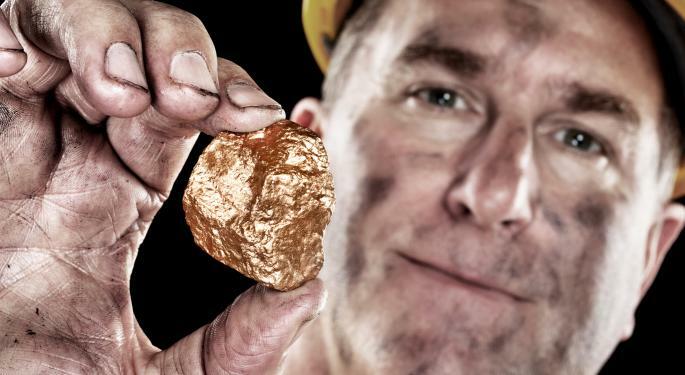 GDX tracks the NYSE Arca Gold Miners Index (GDM) and there is one bullish leveraged ETF that tracks the same index: The Direxion Daily Gold Miners Bull 3x Shares (NYSE: NUGT). This ETF has a memorable ticker, but has been offering up plenty of forgettable performances lately. Obviously, as a triple-leveraged ETF, NUGT has been performing much worse than GDX, something that was fairly easy to spot. On April 3, NUGT's bearish cousin, the Direxion Daily Gold Miners Bear 3X Shares (NYSE: DUST), was highlighted as one of the bearish ETFs to buy in April. Since that call, DUST is up more than 38 percent, including Monday's 23 percent surge. The recommendation on DUST was due in part to the belief that NUGT's 1-for-5 reverse spilt, which went into effect after the close on April 1, would not have the desired effect of propping the share up for long. That assumption proved accurate as NUGT opened for trading on April at a post-split price of just over $26 a share. In less than two full weeks since that reverse split, NUGT has been cut in half and is down 23.6 percent today on volume that has already eclipsed five times the daily average. If current trends hold, NUGT may be heading for another reverse split in a matter of weeks. As for DUST, Direxion may need to initiate a forward split because it seems to be a matter of "when" not "if" that ETF trades over $100. 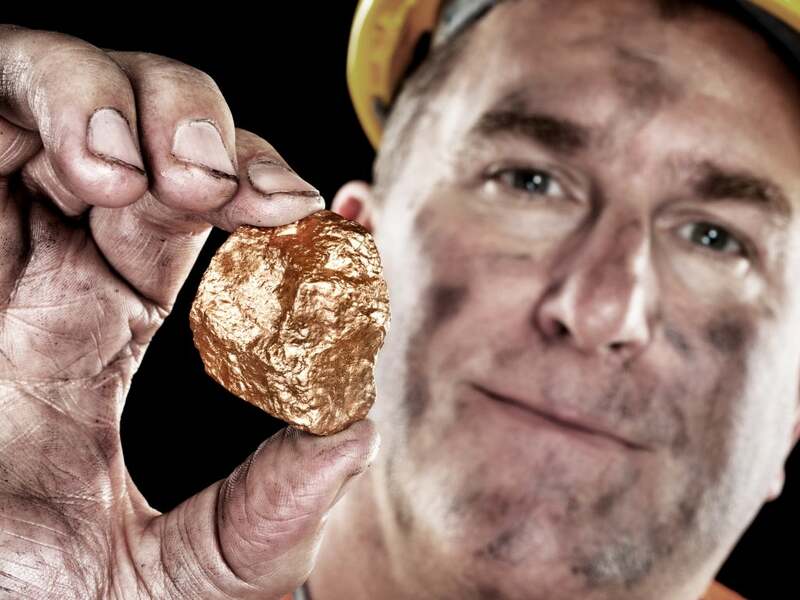 For more on gold mining ETFs, click here.